If you haven’t heard about or already purchased the eGo-C Twist, learned about it’s said functions and features, then here’s a great opportunity. We’ve talked about it before, but now we’ve got our hands on it. I’ve been wanting the Twist for a while, just never got around to actually purchasing one. Better late than never, right? The eGo-C Twist from Crimson Vapor comes in a 650mAh and 1100mAh size/rating (We’re using the 650mAh because of its smaller size.). Being Variable Voltage, the bottom cap allows for the ability to switch between 3.2V to 4.8V. The eGo-C Twist also features the 5 click lock-out, which disables the button for being pocket friendly. 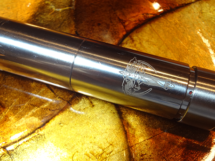 510 Threaded: Compatible with all eGo Series atomizers and cartomizers, eGo 510 Series atomizers and cartomizers. Charge this battery using an eGo Rapid USB Charger. 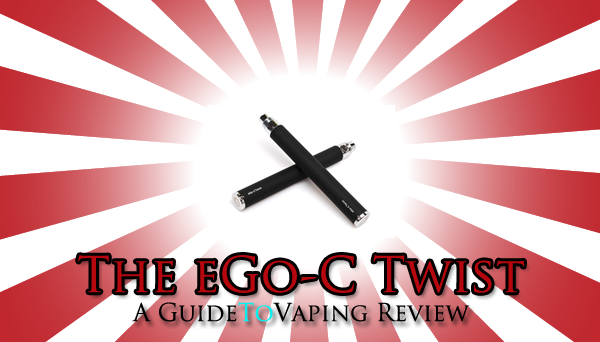 The eGo-C Twist produces a very reasonable amount of power when set to its highest voltage (4.8V). 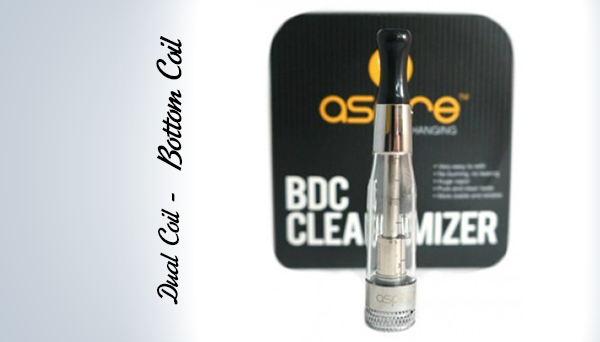 The twisting cap at the bottom of the eGo is how you change the voltage and I found that to be very impressive with its sleek look and firm adjustment. It isn’t anywhere near hard to twist, but it isn’t loose either. It’s an eGo, so of course it has its normal eGo size and shape that we’re all used to and comfortable with, so sliding it into the pocket was really nice compared to only using big battery devices for more than a year now. 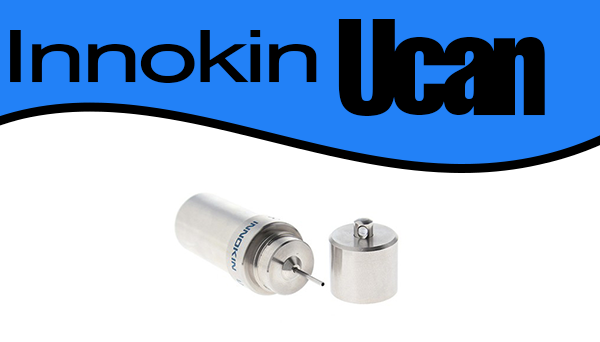 I have become not so focused or caring on the looks of my devices lately, but my Boge cartomizer sticking up 1/2″ above the eGo cone gave me a ‘yuck’ feeling. I’m having an awesome vape with this Twist and really enjoying it. Although an atomizer or cartomizer work well with the eGo Twist, just like they do with any other device – I found that a CE5 tank and the Twist set between 4.5V to 4.7V pulled in, what I call, a perfect vape. The pricing for the Twist at Crimson Vapor is pretty reasonable, especially for its quality. Crimson Vapor sells the 650mAh version for $22.95 and the 1100mAh version for $26.95. In my opinion, a great price for the tried and true eGo… with a Twist. Easy to use, variable voltage and the perfect pocket friendly size makes me honestly believe that this device is the perfect all-around electronic cigarette. I bought a secondary and so far have had no problem. I bought the 650 to give Vaping a try and really liked the experience. I wanted more vape so bought two of the 1100 Series. The battery of the 650 just died after 2 months of use and one of my 1100’s died as well. Pretty disappointed w the lack of longevity. Had my 1100 for THREE weeks….ugh! Just purchased a Vision Spinner which cost more but was told it is better quality. Time will tell. If you’re wanting to produce more vapor, any variable voltage device will give you a better experience, since you’re getting more power. Some of the knock-off eGo type devices use the same battery as an Authentic Joyetech eGo, so it isn’t always that you’re using a lower quality device… it’s just that some last longer than others. It’s the same thing with your typical flashlight – some will shine forever, while another exact type flashlight may last you a week or two before kicking the bucket. 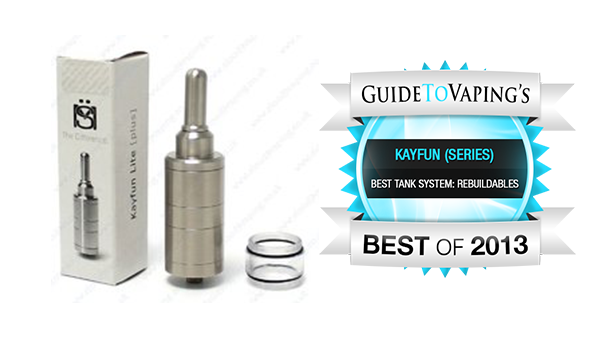 Furthermore, the “Spinner” is simply a knock-off of the Authentic Joyetech eGo-C Twist. However, it’s up to par with the twist. These devices aren’t made to last forever, and often it’s a hit or miss with them. Yes, some are better quality, but many times it can be just another malfunctioned product. Enjoy your spinner, and when it eventually dies on you, simply buy another. All of those eGo type devices are super cheap.